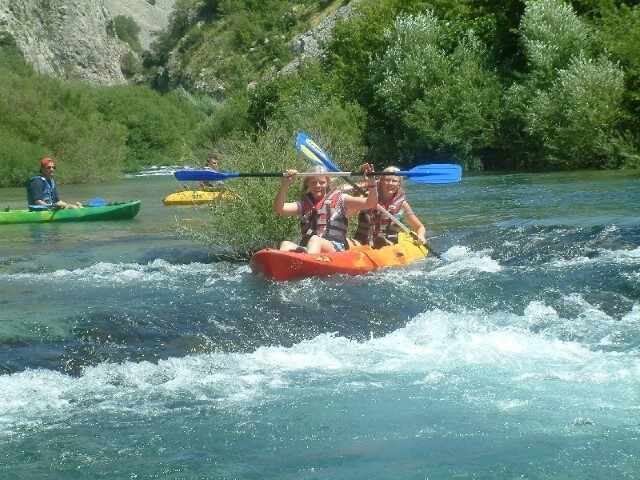 Kayaking down the river Zrmanja with an expert guide and a skipper. 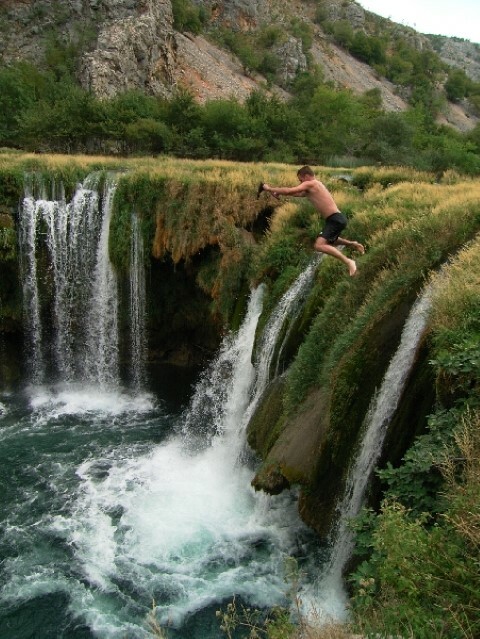 Enjoy a beautiful landscape with fascinating waterfalls and swim underneath them. 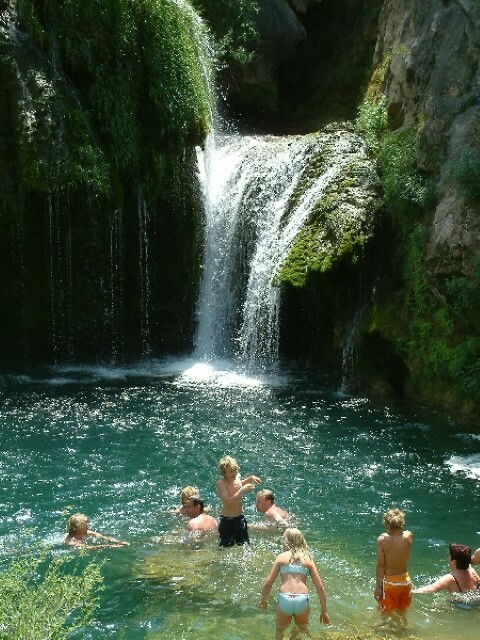 The excursion starts in Novalja from where you will be transferred to Kaštel Žegarski by tourist buses. 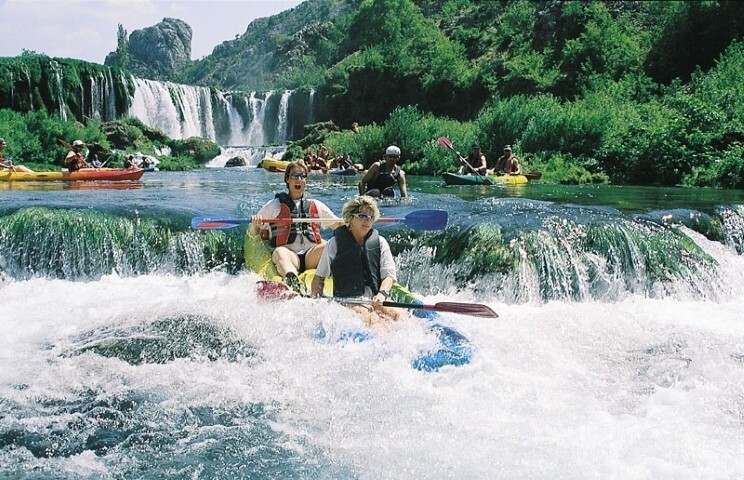 Kayaking tour (changing, instructions and boarding) starts at 9:30. 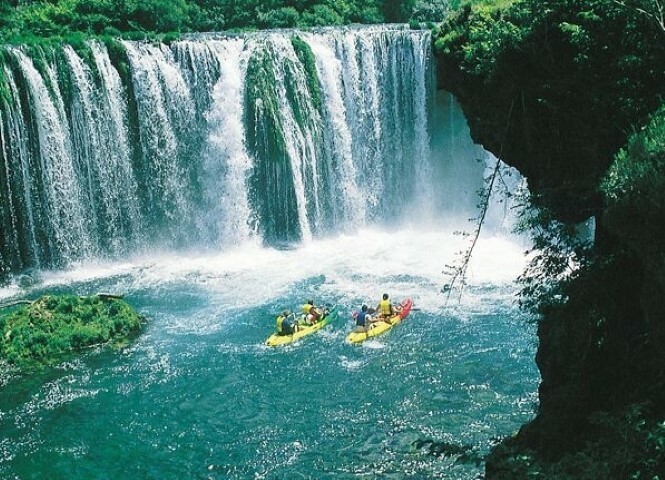 The first part of the tour to the mouth of the river Krupa lasts an hour and three quarters; the visit, swimming and picnic on the Krupa waterfalls last another hour and a half; and allow for another two hours to kayak down the river Zrmanja to Muškovci. 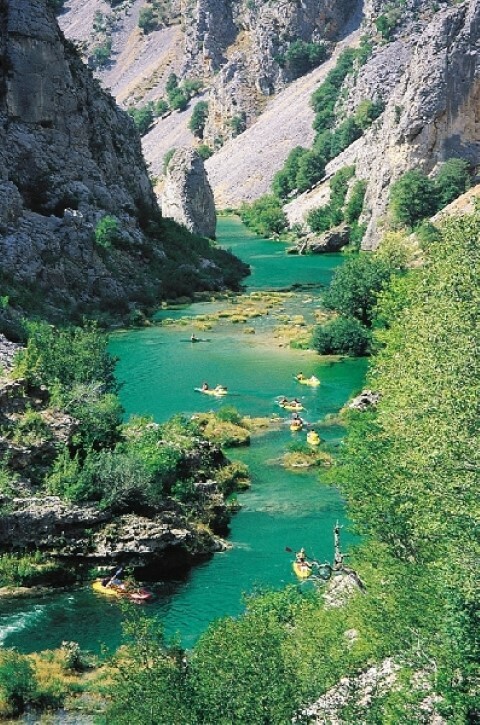 It makes a total of three hours to kayak down the river and an hour and a half for occasional breaks and swimming. 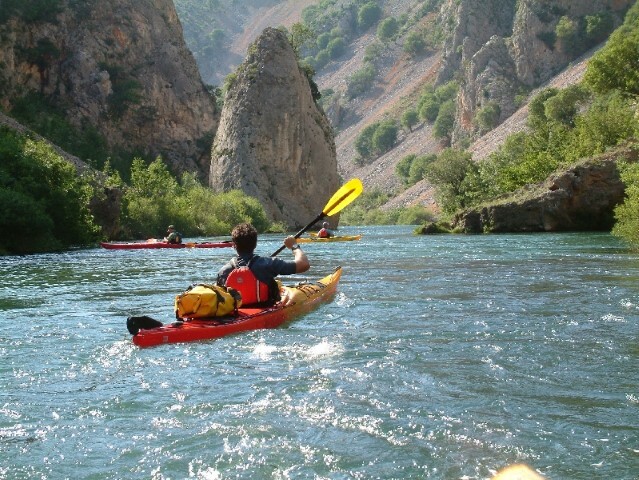 Kayaking is not fatiguing or dangerous, the water is clear and warm during the summer months, which makes it a perfect adventure for beginners. 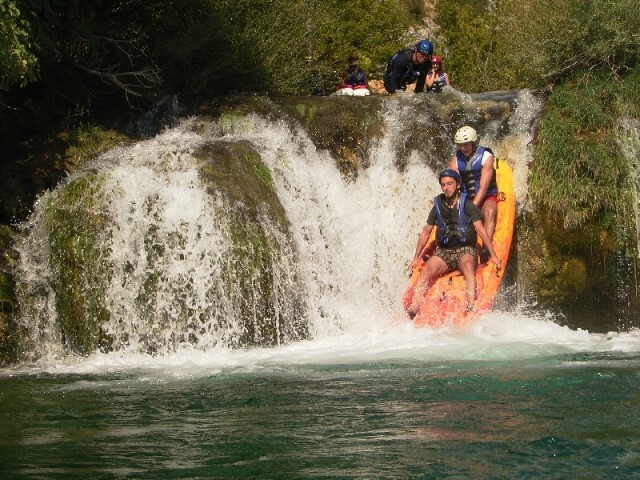 We plan to return to Novalja at 18:00. 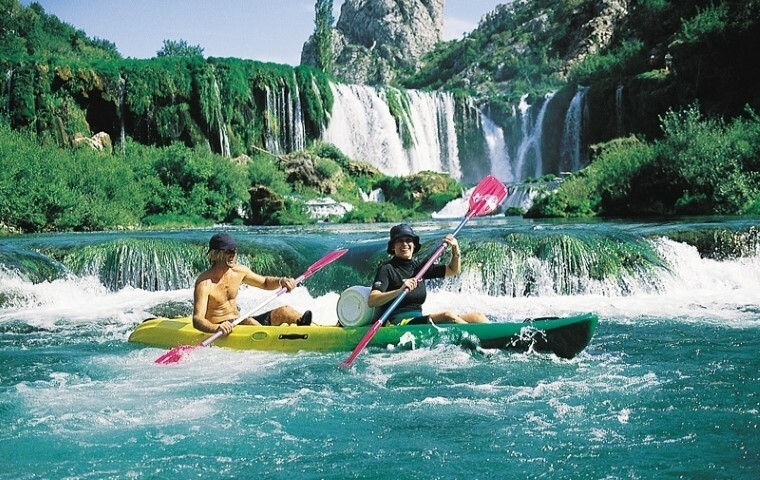 You will be provided sit-on-top kayaks for two adults and an extra seat for a child up to the age of 12. 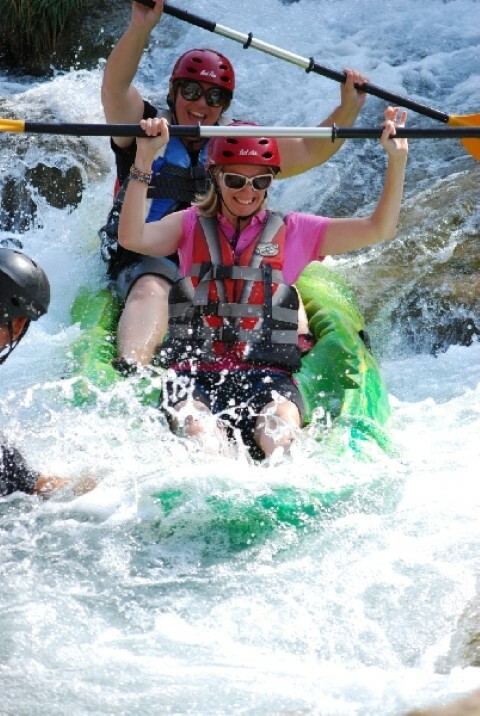 Each kayak is equipped with a 25-litre waterproof container (for the camera, documents, dry clothes, food…). 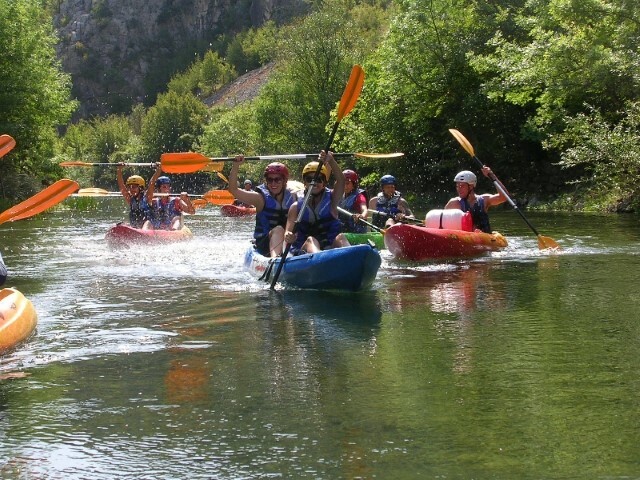 Each participant will be provided a paddle, a life jacket, a kayaking helmet, whereas long neoprene wetsuits and rain jackets are used in case of cold or windy weather. Make sure to bring a shirt, a swimsuit or swimming trunks, a towel, extra socks, water sandals or shoes, and in case of cold weather a long-sleeved shirt (preferably made of synthetics). If you are wearing glasses make sure you secure them with a glasses string. 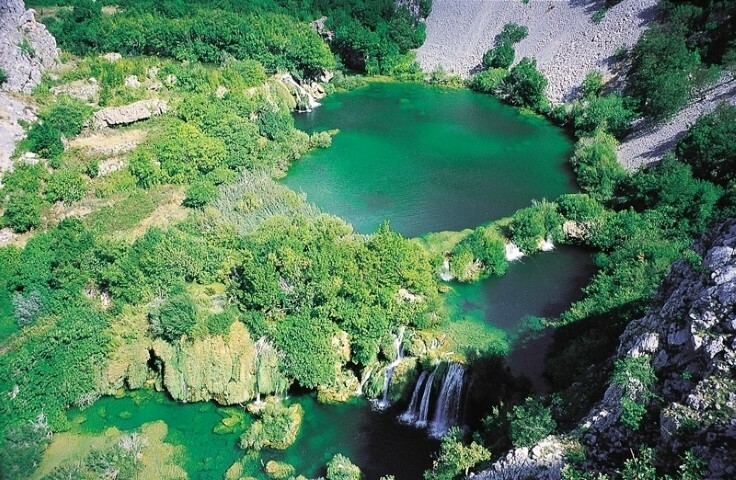 The organizer of the excursion is not responsible for lost, damaged or missing possessions. Minimum number of persons required for organized transport is 5.